Our next production for ages 11-14 will be 'Circus Olympus'.The circus has come to town! Well… sort of. There's no elephant on a bicycle but there are the Greek Geeks and have they got a story or two to tell. More specifically, a myth or two: Pandora's Box, Persephone and the Underworld, King Midas, Athena and Arachne, and don't forget the Mythapalooza Slam Jam! 'Circus Olympus' uses comedy and physical theatre to tell the tales of some classic myths. 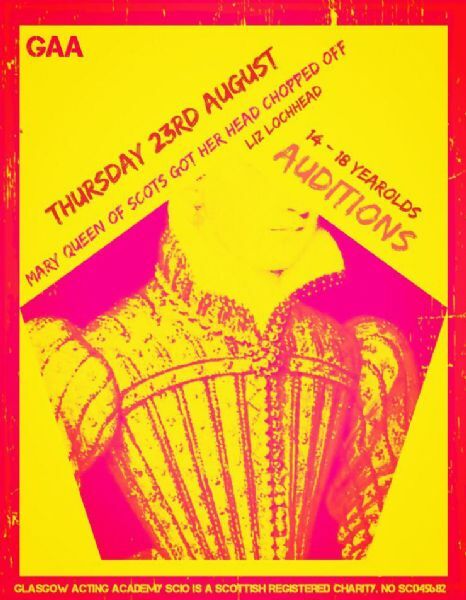 Auditions will take place on Thursday 23rd August from 5pm-8pm. Sign up sheet is on the front desk. Get in touch for more information or to book an audition slot. 0141 237 7140 info@glasgowactingacademy.org.